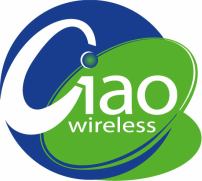 ​​​Ciao Wireless, founded in February, 2003, is dedicated to serving the RF & Microwave community in the design and manufacture of RF & Microwave Thin-Film Hybrid Amplifiers, Connectorized, Drop-in and Surface Mount Amplifiers, Radial Power Combiners-Dividers and Space Qualified Amplifier Assemblies. Ciao Wireless is committed in providing the Highest Performance designs at an Exceptional Value without sacrificing Quality and Reliability to accomplish this, Ciao Wireless has established proven control policies and procedures for each operation, from Manufacturing and Test to Customer Service and Engineering Standards, that meet and even exceed MIL-STD and NASA/IPC requirements; ensuring quality and reliability in accordance that meet and exceed all AS9100, ISO9000, and Military and Commercial standards. Ciao Wireless is customer focused and committed to Optimizing Designs for maximum RF performance and minimum sensitivity to manufacturing and environmental tolerances, Continual Product Improvement and Enhancements, as well as working closely with the customer and Responding Promptly to Changing Customer Requirements. The Management Team is made up of specialists in Design and Application Engineering, Sales/Marketing and Customer Service, Manufacturing and Operations and Reliability, with extensive years of experience within the industry. All of Ciao Wireless’ operations are located within a single modern and fully equipped 42,000 square foot facility, in Camarillo, California, about 1 hour north of Los Angeles. This facility provides Ciao Wireless with ample room for expansion. All processes critical to superior electrical and reliability performance and shortest possible delivery times are controlled in-house. ​Ciao Wireless maintains an aggressive capitalization program. New equipment and personnel are continuously evaluated and brought on-line as required, to help maintain and grow Ciao Wireless’ already vast capabilities so that all customers can be supported regardless of how great or small the opportunity.